or other Canadian Job Resources including National Job Recruting Companies. Good Luck! 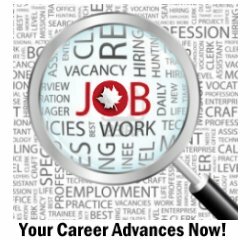 The best place to simplify your search for jobs in Canada is our Job Search Engine. Not only does it allow you to search for job titles, but you can search for keywords that match your job skills, talents and experience. This flexibility gives you a lot more chances at finding your dream job. Check out our tips and tools for getting hired for every job you apply for. Extensive list of National Job Resources. So you want to be a Young Entrepeneur? In the past most people learned to become entrepeneurs the hard way- through trial and error. Times have changed.Today hundreds of institutions in Canada are offering entrepeneurial courses.There are also government-sponsored programs, both at the federal and provincial levels. On this site you'll find all you need to know about writing and distributing resumes and cover letters that will knock the socks off the recruiters, HR people and computers (yes, computers!) that read your resume. Helping to do job search, write and distribute resume/CV to Canada, USA or International recruiters, pass interview and get a job you want. Anyone Can Negotiate Their Salary -- This Means you! The Work Destinations site is designed for Canadian residents who want to practice their trade or profession in another province or territory. The site may also interest potential immigrants and students who want to know about entry into regulated professions and trades in Canada.